After 12 years as the Editor-in-chief of Inhabitat.com, I say goodbye today — as I step down from running Inhabitat in order to focus on my soon-to-be-expanding-family. This change is bittersweet for me, as Inhabitat has been one of the central focuses and passions in my life for more than a decade. I started Inhabitat.com back in 2005 as a way to explore the power of design to improve the world for the better – first quitting my digital marketing job and then dropping out of grad school to focus on all of my energy, money and attention on growing the website. For years I put all of my blood, sweat and tears into growing Inhabitat to be the premiere website for green design and innovation, and I believe that our website has really made an impact in shaping the global conversation around what design can and should be. 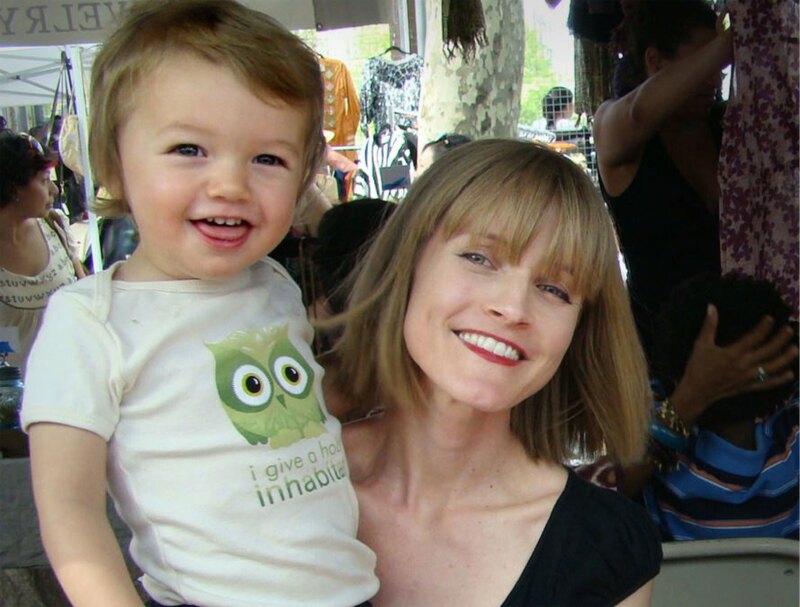 I worked on Inhabitat through the births of my two children, and even launched a parenting website the day before my first son was born – merging my personal and professional lives in a way that might not have been entirely healthy! I roped my husband into penning columns for Inhabitat, my kids made videos and starred in sponsored promotions, and this endeavor has always been more like my third child rather than just a job for me for more than a decade. But now that I have a real third baby coming, I realize I needed to make more time for my growing family. Inhabitat’s wonderful Managing Editor Mike Chino, who I have had the pleasure of working with for almost 10 years, will be taking over the leadership of this website moving forward. I want to thank him, and all of the amazing and inspiring people I have worked with over the past 12 years, who helped to make this site what it is today. First, the current Inhabitat team of Mike Chino, Tafline Laylin, Kristine Lofgren and Lucy Wang – thank you guys so much for all of your hard work, creativity and amazing ideas that you bring to Inhabitat on a daily basis. I know the site will be in great hands with their talents and I can’t wait to see how it evolves. I have so much gratitude for the Inhabitots, Ecouterre and NYC Inhabitat Managing Editors Jasmin Malik Chua, Beth Shea, and Yuka Yoneda, and the many other wonderful editors and project managers I had the good fortune to work with over the years. I also want to give shout outs to my early partners in the fledgling years; creative-powerhouses Sarah Rich and Emily Pilloton – you guys have both gone on to do so many incredible and inspiring things, but Inhabitat to this day is still shaped by your input from so many years ago. And thank you to our investor Thomas Ermacora, business advisor Shayne McQuade, and the folks at out parent company Internet Brands for taking a chance on our boutique website back in 2011. Finally, thank you to all of the readers, without whom Inhabitat wouldn’t be possible. I have met so many amazing people, and had so many inspiring conversations through the course of this project, and Inhabitat owes a lot to all of you. Thank you for such an amazing site. Inhabitat brings myself joy in knowing that there are forward thinking individuals who value design for the betterment of mankind. I have very much enjoyed this website. Thank you Jill. Congratulations to the great work you did, Jill. You had been an inspiration to me ever since I discovered blogging in 2005. You were one of the first blogs I felt in love with. I wish you all the best! Have fun and enjoy your time with your "soon-to-be in your arms" baby. After 12 years as the Editor-in-chief of Inhabitat.com, I say goodbye today -- as I step down from running Inhabitat in order to focus on my soon-to-be-expanding-family. This change is bittersweet for me, as Inhabitat has been one of the central focuses and passions in my life for more than a decade. I started Inhabitat.com back in 2005 as a way to explore the power of design to improve the world for the better - first quitting my digital marketing job and then dropping out of grad school to focus on all of my energy, money and attention on growing the website. For years I put all of my blood, sweat and tears into growing Inhabitat to be the premiere website for green design and innovation, and I believe that our website has really made an impact in shaping the global conversation around what design can and should be. I worked on Inhabitat through the births of my two children, and even launched a parenting website the day before my first son was born - merging my personal and professional lives in a way that might not have been entirely healthy! I roped my husband into penning columns for Inhabitat, my kids made videos and starred in sponsored promotions, and this endeavor has always been more like my third child rather than just a job for me for more than a decade. But now that I have a real third baby coming, I realize I needed to make more time for my growing family.